After I have been reading the book “Sustainable fashion & textiles” over the summer, I was rather shocked when I read the chapter about how we care for our clothes. The book says that if you look at one piece of clothing’s entire lifecycle, the most polluting part is actually often happening in our homes, so primarily through countless times of washing. When I think about it though, this makes perfect sense because we live in a society that is somewhat obsessed with cleanliness and newness in general. There are lots of detergents and fabric softeners on the market, which are filled with nasty chemicals, perfumes and silicones that all have a rather negative impact on our environment and water systems. 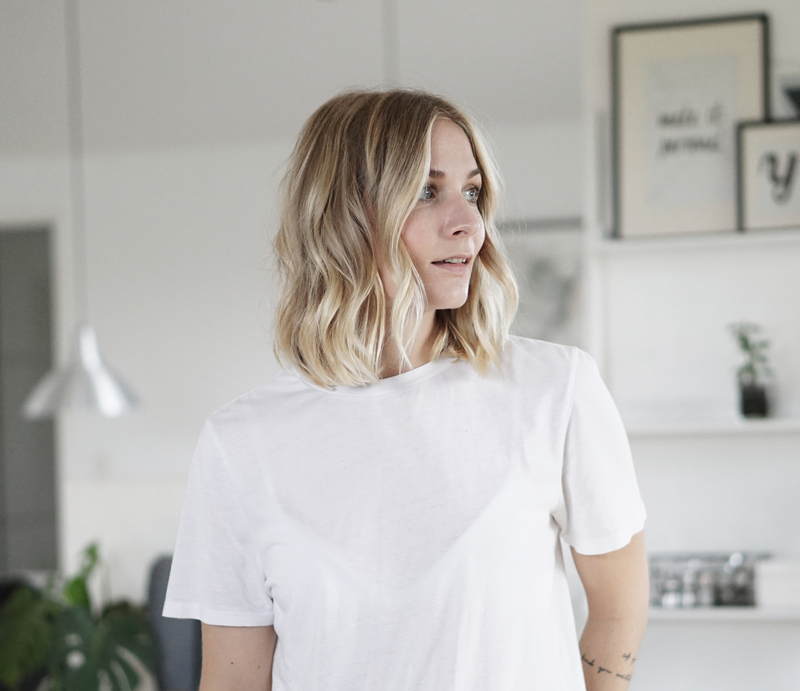 A month ago I got a hold of the danish webshop Suztain and asked them, if they wanted to share their expert knowledge about eco-friendly laundering with me and my followers, so that we can all learn to develop more eco-friendly (but still effective) laundry routines. Like me they look at this like a very important message, so of course they were up for this collab! They send me a bunch of different laundry products that I have now been testing out for a couple of weeks, and I also had a really nice chat with the owner of the shop who shared a lot of wise words and tips with me. 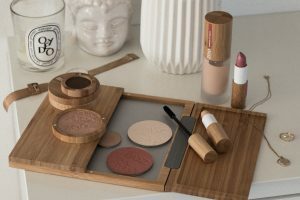 I must say I’m really happy about these products and I have been so excited to share them with you all! 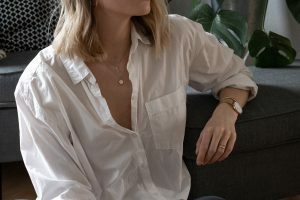 Efter at have været igang med bogen “Sustainable fashion & Textiles” henover sommeren, så var jeg faktisk lidt chokeret da jeg læste mig igennem kapitlet om pleje og håndtering af vores tøj. Bogen siger nemlig, at hvis man ser på ét stykke tøj og hele dets livscyklus så er den part hvor der sker mest forurening faktisk ofte den måde vi håndterer det indenfor hjemmets fire vægge, så altså primært gennem tøjvask. Ved nærmere eftertanke giver det dog virkelig god mening, fordi vi lever i en tid hvor vi alle er mere eller mindre besatte af det der er skinnende rent eller nyt. Der findes rigtig mange former for fx vaske- og skyllemidler – både flydende og i pulverform – som er fulde af usund kemi, parfume og silikoner, som jo desværre påvirker vores miljø og vandløb enormt negativt. For en lille måneds tid siden hev jeg derfor fat i teamet bag den bæredygtige webshop Suztain, og spurgte dem om de ikke havde lyst til at dele deres ekspertviden med mig og mine læsere, så vi alle kan blive bedre til at håndtere vores vasketøj på den mest effektive, men samtidig mest bæredygtige måde. Ligesom mig syntes de at det er et overset og meget nødvendigt område at dykke ned i, så det ville de naturligvis gerne! Derfor sendte de mig et par forskellige vaskeprodukter, som jeg nu har testet over et par uger og jeg havde samtidig en rigtig god snak med stifteren af webshoppen. Og jeg må sige jeg har haft stor succes med alle produkterne, og derfor har jeg glædet mig rigtig meget til, at dele dem med jer! The first product I’d like to share with you is the so-called eco-egg (US link here). 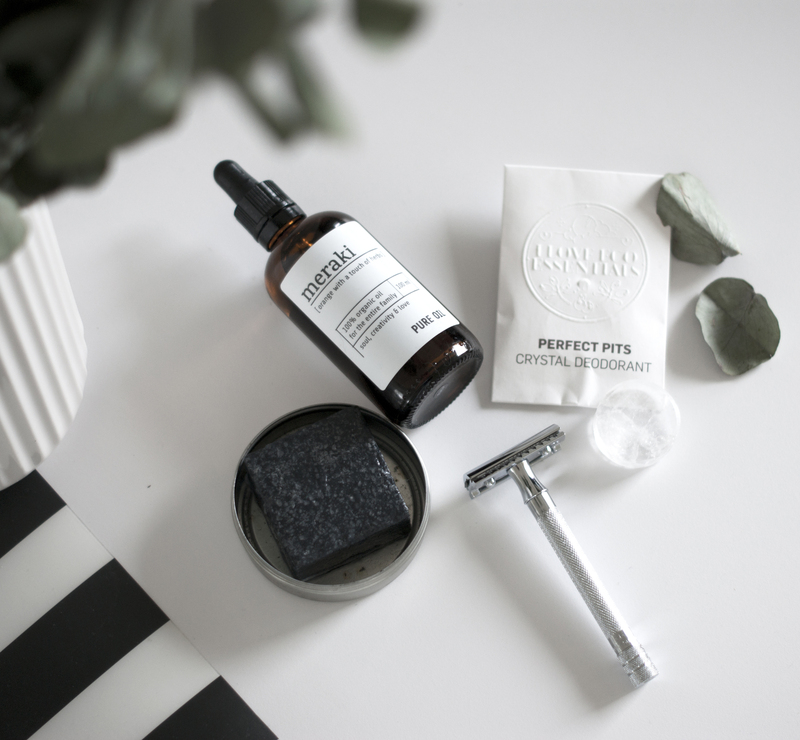 The cool thing about this product is that you avoid leading out lots of nasty chemicals while washing, plus you also save our environment from lots of plastic bottles of conventional detergent. You can get the egg with either 144, 210 or 720 washes. 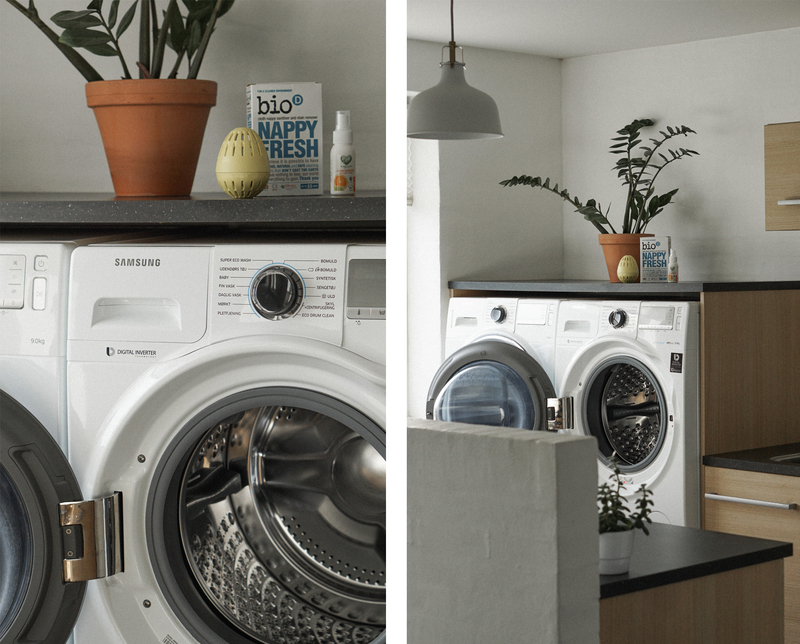 In the egg with 144 washes you save up to 15 bottles of detergent! Using the egg is pretty simple: with the egg comes a few packs of mineral pills that you put into the egg, and after this you just make sure to leave some room in the machine and place the egg directly in there along with your clothes. With the egg comes a booklet with instructions as well, that I highly recommend you to read before you get started, so that you will get succes with the egg. You might need to clean your machine for example. The egg comes with or without a subtle scent, and since we have been washing perfume-free for years I choose the unscented one. 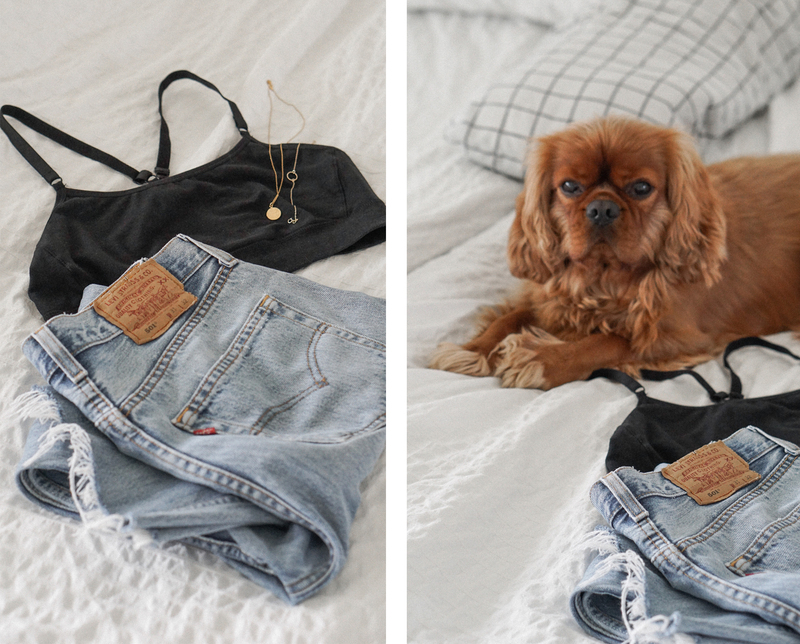 Our clothes smell just as clean and fresh like usually, so I’m a huge fan of this product! It just feels nice to know that you are doing yourself and the environment a favour when washing like this. 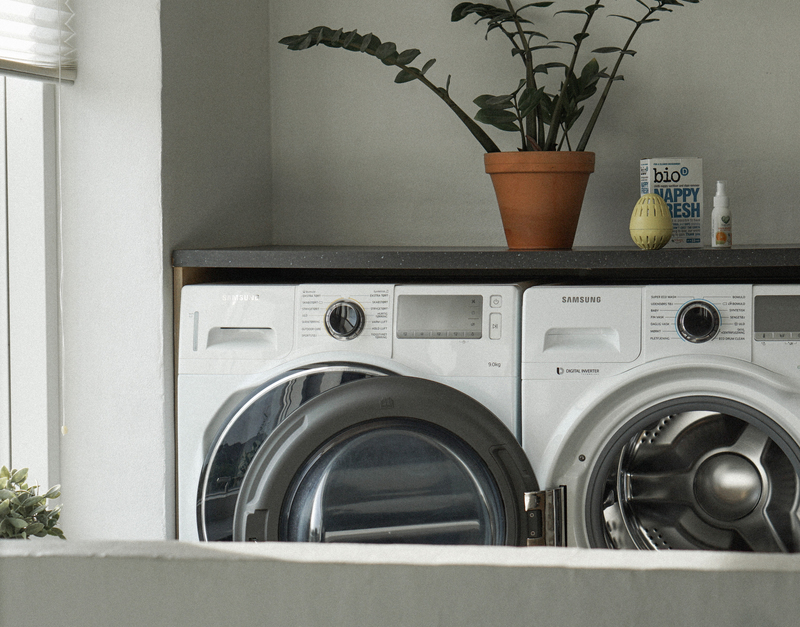 Remember to leave your washing machine open after each wash, to prevent any smell. 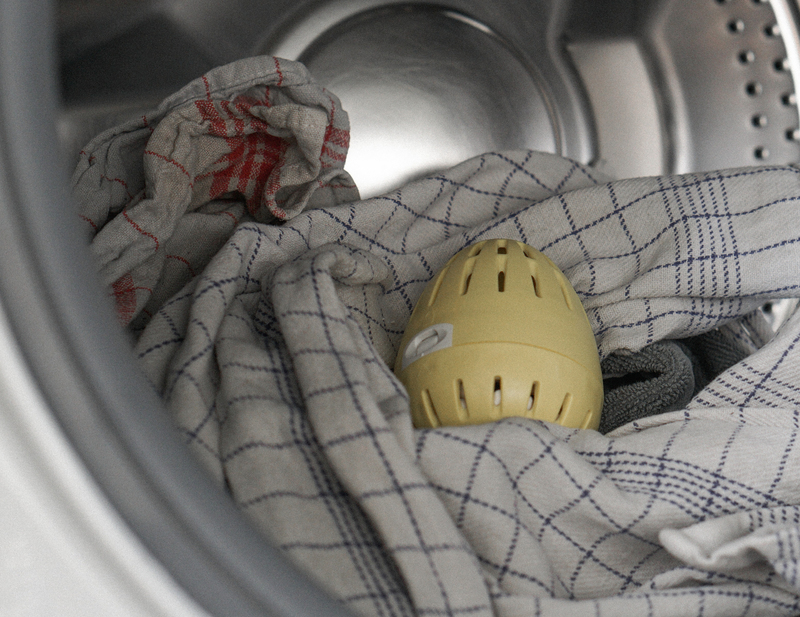 Besides the washing-egg you can also get a dryer-egg (US link here), that you can put into the dryer along with your wet clothes. This way it will help to soften the clothes and add a little bit of scent to them if you like that kind of thing, plus it also shortens the drying-time. 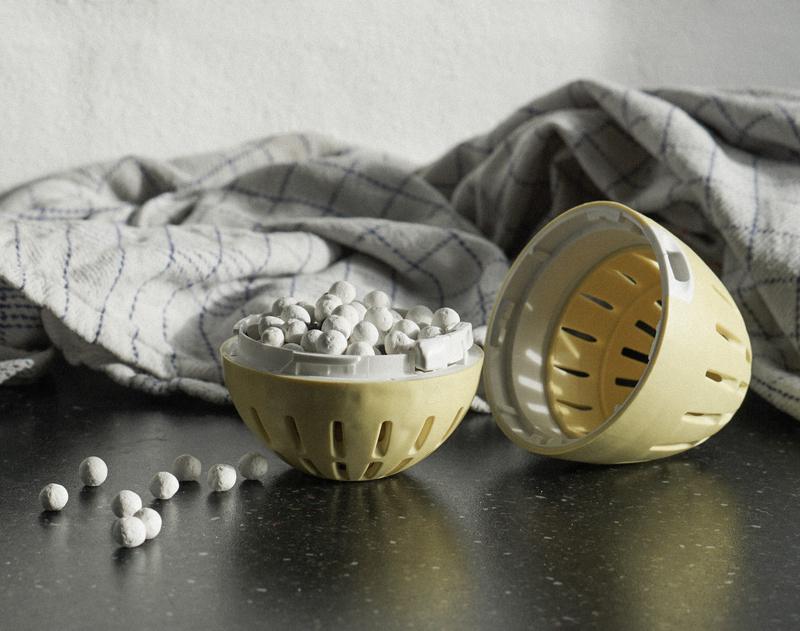 You can also use drying-balls though (the ones that look like tennis balls) which also shortens the time spend in the dryer. Fabric softeners are often filled with perfumes and silicones, which are really bad for our water systems and environment, so these drying-eggs are a good sustainable alternative. You can also use clear/white vinegar as fabric softener. You just pour it into the machine like conventional softener, and you can easily do this along with using your eco-egg. The vinegar is not only softening your clothes, it also prevents lime deposits to build up inside your machine which in itself gives cleaner clothes. And don’t worry – your clothes wont smell sour when you take it our of the machine! Regarding the material of these eggs they are made from synthetic, hard rubber. The owner of Suztain assured me though, that even so they wont lead out any mikroplastics. Besides that it takes quite some time before you need to replace the egg with a new one. Det første produkt jeg gerne vil dele med jer er det såkaldte eco-egg. Det smarte ved dette produkt er ikke blot at du undgår udleding af usund kemi, men samtidig så sparer du også miljøet for en helt masse plastik dunker af konventionel vaskemiddel. Du kan få æggene der rækker til enten 144, 210 eller 720 vaske. I ægget med 144 vaske sparer du op til 15 plastikdunke med konventionel vaskemiddel! Ægget fungerer ganske simpelt: der medfølger pakker med mineralske piller som fyldes i ægget, og herefter skal du bare sørge for at lave plads i maskinen til, at du kan lægge det direkte ind oven på tøjet. Der medfølger en brugsanvisning som jeg vil anbefale dig, at du læser inden du går igang, da det kan være nødvendigt for dig at rengøre din maskine inden du bruger ægget første gang, sådan at du får den optimale effekt af det. Ægget fås med og uden duft, og da vi har vasket parfumefri i årevis, så valgte jeg det uden duft. Vores tøj dufter rent og friskt som det plejer, så jeg er kæmpe fan af dette produkt! Det føles bare rigtig godt, at vide man vasker mere bæredygtigt på denne måde. Husk at efterlade lågen på maskinen åben efter hver vask, så du undgår nogen former for lugt i maskinen. Udover vaskeægget kan du også få et dryer-egg, som du kan lægge med i maskinen hvis du bruger tørretumbler. Det smarte ved dette æg er ikke kun at det blødgør og tilfører duft (hvis man er til det), det forkorter også tørretiden væsentligt. Du kan dog også bruge ganske almindelige vaskebolde (de der som ligner tennisbolde), som har samme virkning. Skyllemiddel er med sit indhold af silikoner og andet skidt virkelig dårlig for vores miljø og vandløb, så derfor er disse tørreæg en god, bæredygtig erstatning. Du kan også hælde lidt klar eddike i skuffen når du vasker, og det kan sagtens bruges sammen med dit eco-egg. Eddiken har ikke kun en blødgørende effekt på dit tøj, men det renser også maskinen for kalk hvilket i sig selv giver renere tøj. Og bare rolig – dit tøj kommer ikke til at lugte surt af det! Med hensyn til æggenes materiale, så er de lavet af syntetisk, hårdt gummi. Stifteren af Suztain forsikrede mig dog om, at de til trods for dette ikke afstøder mikroplast ved brug. Der går desuden også lang tid, før ægget skal erstattes med et nyt. 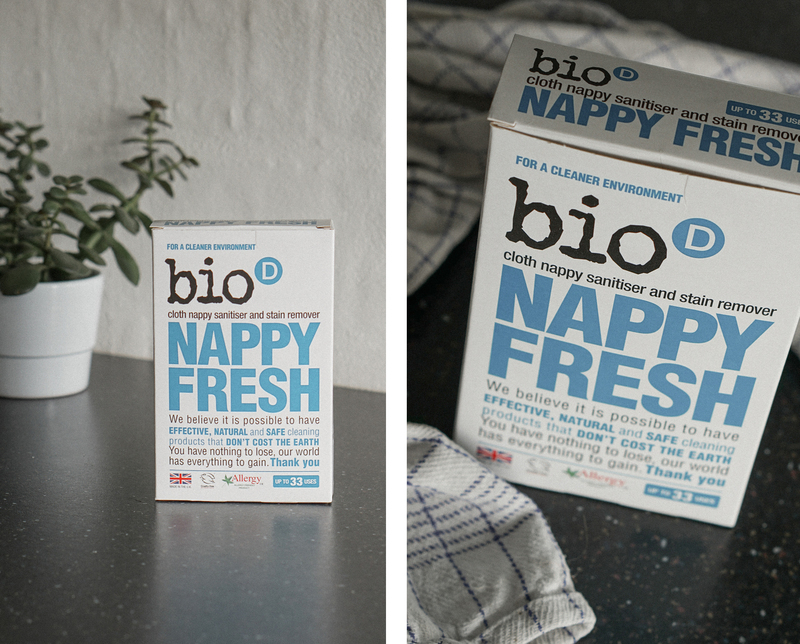 Another product I have been really excited about is Nappy Fresh (US link here). This product is originally made for the washing of cloth nappies for babies, but of course you can use it for other things as well. The cool thing about this product is that you will remove stains and kill bacteria in a very effective but still sustainable way, even at low washing temperatures. That means that you can save the amount of water and energy used in a regular 95 degrees wash! As a rule of thumb I wash most of our clothes at 30 degrees, and if I then wash towels or undies I’ll put in a few scoops of Nappy Fresh in the machine, and then place my eco-egg in the machine as per usual. Besides that I try to avoid sending my clothes to a dry-cleaner but if you have an eco-friendly dry-cleaner nearby that is of course a good option as well. I actually often wash things that says “dry clean only” either by hand or on a short program at for example 20 degrees. This goes for things like delicate knitwear or blazers, and it works really well! You can learn more about my general wash and care routines right HERE. There are also many harsh stain removers on the market, and I can only imagine that if you have kids these are a must. But also here you can turn to more eco-friendly products. I’ve been testing out this stain remover from Planet Pure (US alternative here) with great success for example. Another thing you can do is to mix a bit of water with baking soda, and then rub the paste on to the stain, leave it there for a while and then wash as normally. Besides that vinegar is a great stain remover too, especially when it comes to white and light clothing so sometimes I have made a mix of water with vinegar and left white garments in there for a while before washing it. I have also talked about this before, but maybe it’s also about time that you revise your deodorant, when speaking of white garments and stains. A conventional deo or antiperspirant has a tendency to leave yellow stains underneath the armpits through time. Therefore a good solution could be to switch to more natural deodorants like for example a crystal (which is not always effective enough for me anymore though, but we’re all different) or to go for another eco-friendly and allergy-certified option without aluminium chloride which together with the sweat is what will cause these yellow stains. At the moment I’m testing out THIS one (if you now an International alternative please link it below!) with great succes, it’s really effective and I feel fresh all day! It’s not only a healthier option for you and your body, it’s also better for especially your white garments. Et andet produkt jeg har været ved at teste er Nappy Fresh. Dette produkt er oprindeligt til tøjvask af stofbleer, men det kan naturligvis også bruges til andet end det. Det smarte ved det her produkt er, at du på en skånsom og miljøvenlig måde kan fjerne pletter og slå bakterier ihjel, selv ved vask med lave temperaturer. Det vil altså sige, at du kan spare den enorme mængde vand og energi du skal bruge til en 95 graders kogevask! Som tommelfingerregel vasker jeg derfor alt mit tøj ved 30 grader, og hvis jeg fx vasker håndklæder eller undertøj, så kommer jeg et par skefulde Nappy Fresh i skuffen på maskinen, og ligger mit eco-egg ind på tøjet som sædvanligt. Udover det så undgår jeg også helst brugen af renseri, men hvis man har et øko-venligt renseri i nærheden er det selvfølgelig også en god løsning. Jeg vasker faktisk ofte tøj der står “dry clean only” enten i hånden eller på et kort program ved fx 20 grader i maskinen. Det gælder både uldsweatre og indimellem også blazerjakker, og det fungerer ganske fint! Du kan læse lidt mere om min generelle plejerutine lige HER. Der findes også mange skrappe pletfjernere på markedet, og jeg kunne forestille mig, at især hvis man har børn så kan disse være virkeligt nødvendige. Men også her er der mulighed for, at gå den mere skånsomme og bæredygtige vej. Jeg har testet en pletfjerner spray fra Planet Pure med god succes. Du kan også blande en smule bagepulver med vand, og gnide dette på pletten, lad det virke i noget tid og så vaske det som normalt. Udover det så fungerer eddike også som en udemærket pletfjerner, især på hvidt/lyst tøj, så nogle gange har jeg lavet en blanding med vand og eddike i en balje og lagt hvidt tøj i blød heri. Jeg har været inde på det før, men måske du også skulle overveje dit valg af deodorant, nu vi er ved snakken om hvidt tøj og pletter. En konventionel deo eller antiperspirant med aluminium klorid har nemlig en tendens til, at efterlade gule pletter under armene på dine hvide toppe. Her kan du med fordel skifte over til en naturlig krystal (som dog ikke altid er lige effektiv nok for mig mere, men der er jo forskel på folk) eller en anden svanemærket deodorant uden aluminium klorid. Lige nu bruger jeg DENNE, og den er altså virkelig god og effektiv! Det er ikke alene sundere for dig og din krop, men igen så skåner du også dit lyse tøj for eventuelle gule pletter. When you wash your clothes there will naturally be a lead-out of fibers into our water systems. The natural bio-degradable ones are not the biggest sinners here, but the synthetics are. With this lead-out our water systems are negatively impacted, and these microplastics will end up in species, in our tap water and int he end in our bodies through different types of food and drinks. Even in a country like Denmark where we are known to have some of the most clean, delicious tap water – well, our water is not all that clean anymore, which we’ve learned about in the media the past few years. Even here there are now huges signs of microplastics. I have garments in my closet myself that are made from synthetic materials (especially sportswear is often made from for example polyester), and I dont say that you have to get rid of these garments. Instead you can use a Guppy Friend which is a bag designed to collect any microplastics while washing. You simply gather up all of your clothes made in synthetic fibers, put them into the bag and place it in the machine to wash as per usual. Afterwards you can then scrape out the plastics and through them into the bin instead of them being lead out into our water systems while washing. I haven’t tried the bag myself yet, but I do think it needs a try! Another good rule of thumb is of course to avoid washing items in synthetic materials too often. Når du vasker tøj så sker der helt naturligt en udledning af fibre hver gang du vasker. De naturligt-nedbrydelige fibre er ikke de store syndere her, men det er de syntetiske selvfølgelig. Ved denne udledning påvirker det vores vandsystemer enormt negativt, og det ender ikke kun i arter som fx plankton og fisk, men det ender også i vores egne kroppe gennem forskellige typer af fødevarer og drikkevand. Selv i et land som Danmark hvor vi har noget af det reneste, lækreste drikkevand i verden er det blevet påvist, at vores drikkevand slet ikke er så rent mere som vi går og tror, hvilket også har været i mediernes søgelys de sidste par år. Også her er der fundet spor af mikroplast. Jeg har selv tøj i mit skab som er lavet af syntetiske fibre (især sportstøj er ofte lavet i polyester), og jeg foreslår på ingen måde at du skiller dig af med dette tøj. I stedet kan du bruge en Guppy Friend som er en pose designet til, at opsamle mikroplast mens du vasker. Du samler simpelthen det syntetiske tøj og putter i posen, og vasker som normalt. Herefter kan du skrabe resterne ud af posen og smide det i skraldespanden i stedet for at skylle det med ud når du vasker. Jeg har ikke selv prøvet posen, men tænker da helt klart den skal have et forsøg! En anden god tommelfingerregel er selvfølgelig, at undgå for hyppig vask af produkter lavet i syntetiske materialer. 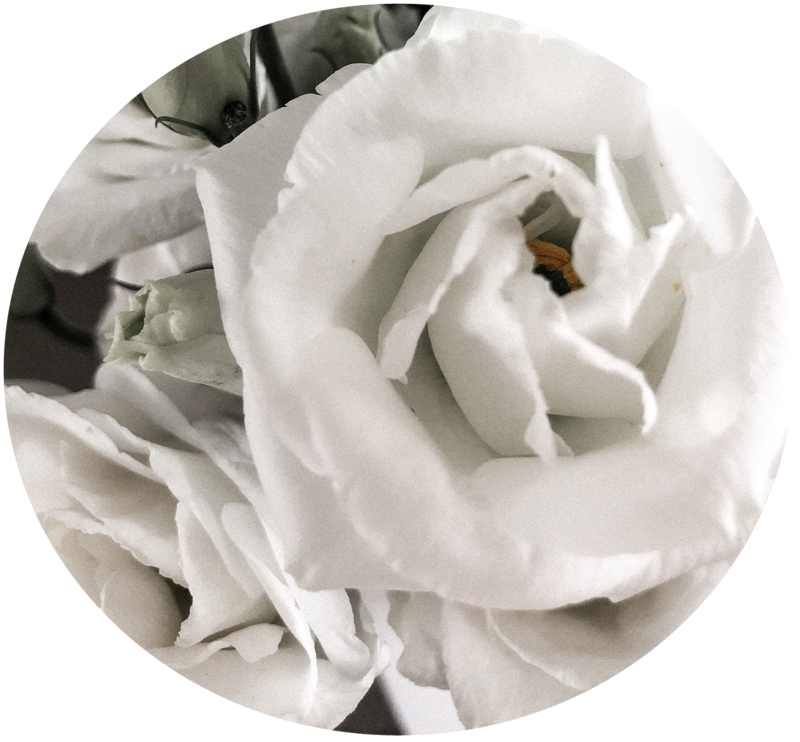 And speaking of materials and fibers, you can of course make a huge difference by going for natural bio-degradable fibers instead of synthetics in the future. 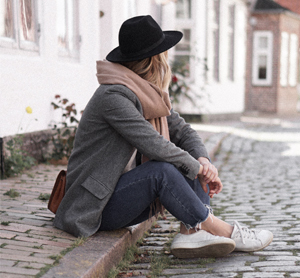 The most common natural fibers are for example cotton, linen, silk and wool (and going for organic and ethically made materials is even better here). The most common synthetic fibers are for example polyester, acrylic, lurex, nylon and spandex and it’s of course these you could try to stay away from in the future. I will say though that recycled polyester (or clothing from a secondhand shop in synthetic fibers) are things I do purchase still, and here a product like the Guppy Friend really comes in handy. 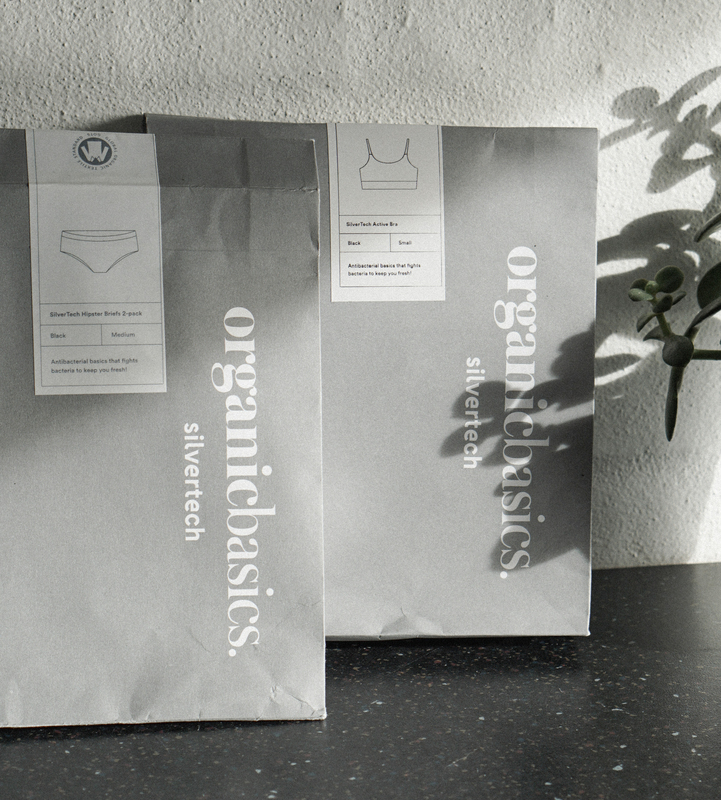 Another thing you could try to look out for is innovative materials like Silvertech from Organic Basics. This type of fabric is made with silver which kills 99% of the bacterias. This means that you will get a product that stays fresh for longer, so that you can wash it less. I gave my husband a few of their silver tech tees for his birthday this summer, and he says they are honestly the best tees he has ever had! I’ve been gifted some of their silvertech underwear myself, which is just really lovely and comfy. 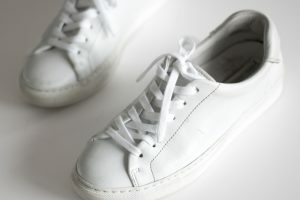 Besides that they will soon launch sportswear in silvertech as well, which is worth keeping an eye out for. Sportswear is something we tend to wash often, because we sweat in it so it will be nice to be able to extend the time between washes like that. I should also just say that Organic Basics doen’t use nano-silvers for their silvertech. This method is illegal to use in some types of textiles because it can be lead out during washes and it is very harmful for the environment, people and animals. Organic basics uses another technic where the silver is weaved in together with the fibres, and stays there even during washing. This technic is approved to use by Oeko-tex. Before ending this post I wanted to share a few other tips in regards to washing less, because this in itself will have a positive impact on our environment as well. Fresh air is a lifesaver for garments that are not really dirty or stained, and a steamer can also make your garments feel fresh and clean again. That especially goes for wool sweaters and jeans for example, that are both types of clothing I try to wash as little as possible. I hope this post has inspired you guys to make a change for the better when it comes to laundry, and that it can be a great tool for you to get started! Og nu hvor vi taler om materialer, så kan du selvfølgelig gøre en stor forskel ved, at vælge naturligt nedbrydelige materialer over syntetiske. De mest anvendte naturlige fibre er fx bomuld, hør, silke og uld (og her anbefaler jeg, at du går efter økologiske eller etisk fremstillede materialer, hvilket er endnu bedre). De mest anvendte syntetiske fibre er fx polyester, akryl, lurex, nylon og spandex og det er altså dem, som du med fordel kan forsøge, at undgå så vidt muligt. Det skal dog siges at materialer som genanvendt polyester (eller tøj fra genbrug i syntetiske materialer generelt) er noget, som jeg har gjort brug af og her er et produkt som Guppy Friend igen en god løsning. En anden ting du kan gå efter er innovative materialer som fx Silvertech fra Organic Basics. Denne type materiale indeholder sølv og det betyder at 99% af bakterierne slås ihjel, og på den måde opnår man en kvalitet som holder sig friskere i længere tid. På den måde kan du altså forlænge tiden mellem tøjvask væsentligt. Jeg gav min mand et par af deres silvertech t-shirts til hans fødselsdag i sommers, og han siger at det er de bedste t-shirts han nogensinde har haft! Selv har jeg fået et sæt undertøj af mærket i gave, også i silvertech. Desuden lancerer de snart en række sportstøj i silvertech, hvilket jo også er super lækkert da sportstøj er noget vi ofte vasker, netop fordi vi sveder i det. Jeg skal iøvrigt lige påpege, at Organic Basics ikke bruger nano-sølv hvilket er ulovligt at bruge i nogle former for tekstiler, fordi de kan flyde ud ved fx tøjvask, og det er yderst skadeligt for både miljø, dyr og mennesker. 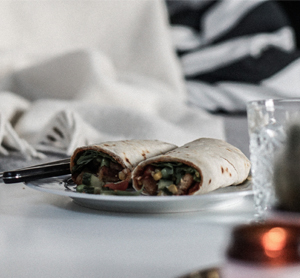 Organic basics bruger en teknik hvor sølv væves ind i fibrene og derved bliver der, selv ved vask. Denne teknik er iøvrigt godkend af Oeko-tex. Her til sidst vil jeg blot give jer et par ekstra tips til, at forlænge tiden mellem tøjvask, da mindre tøjvask i sig selv gør en kæmpe forskel for vores miljø. Frisk luft gør underværker for tøj der ikke er decideret beskidt eller plettet, og ligeledes kan en damper også give dit tøj den friskhed tilbage, som du får ved en almindelig tøjvask. Det gælder især ved produkter som uldtrøjer og jeans, som begge er noget jeg forsøger at vaske så sjældent som muligt, da det ofte egentlig ikke rigtig er nødvendigt. Jeg håber dette indlæg har givet jer stof til eftertanke, og at det kan bruges som redskab til aktivt, at ændre jeres vaskerutiner til det bedre! « The things I always make room for in my busy schedule. Åh hvor er glad for dit indlæg. 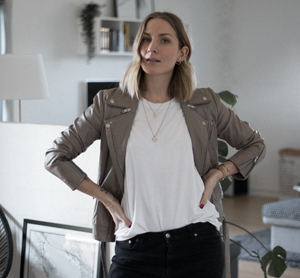 Jeg besøgte Ren Kost i Århus som har alt inden for helsekost, makeup, rengøring osv. De sælger ikke eco egg fordi de simpelthen ikke kan gennemskue præcis hvad de der kugler gør.. og føler derfor ikke de kan sælge produktet og stå inde for det. Måske har du et link til en mere uddybende forklaring ift hvordan bliver tøjet præcist vasket. I absolutely love following you on Instagram and recently read this post, which I loved as well! We are looking for a new washing machine and tumble dryer, and I want to find out which Samsung you use? 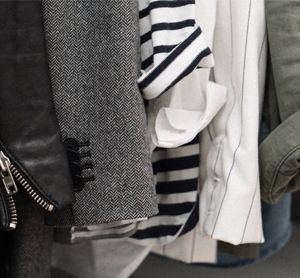 And (I assume) you did thorough research – is it the most eco-friendly one out there? My grandmas used to use homemade lye soap (grated), borax and washing soda for laundry, with hot water. Whitening took place naturally in the sun, on a clothesline. Yellowed items were laundered and set to dry on the grass on a wind-free, sunny summer day. It works! And the sun kills dust mites, too. I’m grateful for machines that make it easier. No ironing for me. Those are great tips, and also quite fun to hear how they used to deal with laundering!